Yeah! You are right! This is what happens at Celestial Music Store on Nehru Road, Kammanahalli! 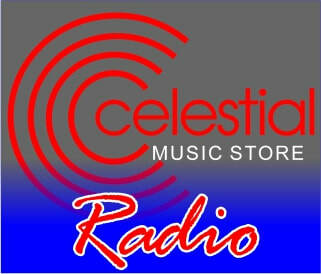 Celestial Music Store is as ‘celestial’ it could be! The musical instruments; ambience; variety and not to mention the ‘most amiable’ woman who manages it…Celestine Samuel! She says it’s her husband Samuel Johnson whose impeccable knowledge of music and his passion towards music laid the ‘foundation’ on which the store happened…during December 2010! The store has an entire range of musical instruments and accessories (multi-branded), offers Sound and Light solutions, has an array of music method books, tip books, exam books (all music); also conducts music classes to budding musicians (Guitar, Piano and Keyboard) and repair musical instruments! The major highlight of Celestial Music Store is the JAM ROOM! Yup! This sound-proof JAM room with an ensemble of music instruments is the place for many local bands who RENT the place to practice for their ‘big moment’! Not only bands come for this air-conditioned JAM room….students’ to ‘hang out’; working professionals with rudimentary knowledge of music (to ‘chill out’ during weekends); experts with a sound musical background (to groove with their ilk)! This A/c JAM room is available on rent (hourly basis) all through the week! Celestine adds “The USP of our store is the ‘service’ we offer to our customers! Be it they trying out the instruments before buying them OR sourcing for them…music accessories that are not easily available in the market or tips to buy, maintain music instruments’…we make sure they are satisfied!” Rather to put it this way…’FEEL …TRY…BUY’ is the mantra! Once you walk into the Store….it’s definitely a new world! Helpful staff; amazing variety of instruments and the sound-proof environs…truly transport’s you into a ‘celestial’ world!